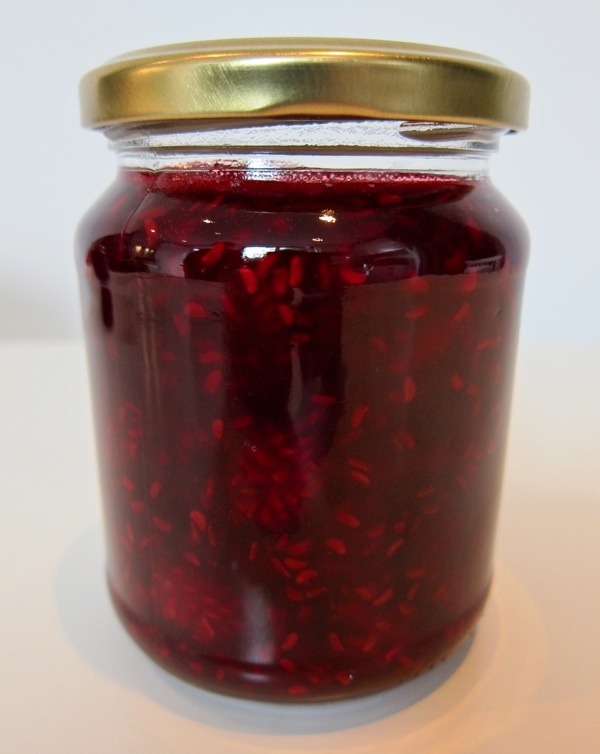 The loganberry jam that Lillie O’Brien and I made will be available exclusively at The Artists of Spitalfields Life opening at Ben Pentreath Ltd tonight. 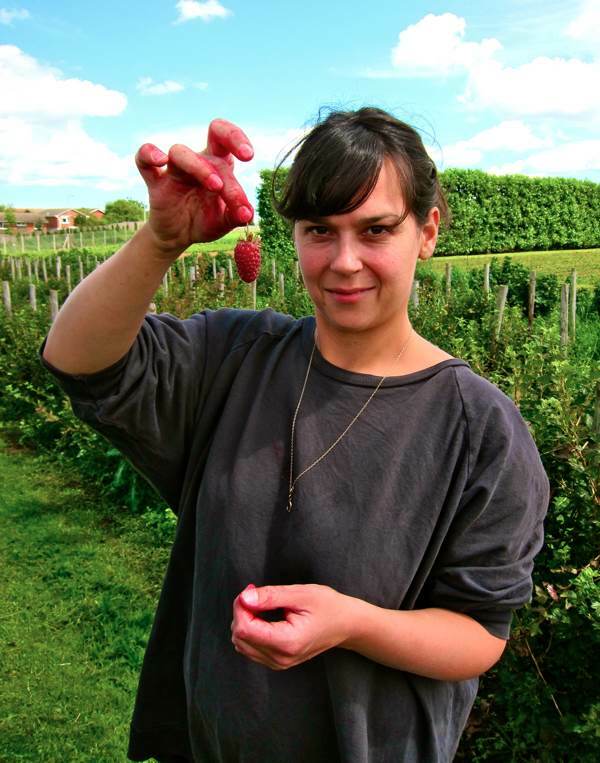 As you can see, Lillie O’Brien sole trader of the London Borough of Jam has a passion for loganberries, that curious nineteenth century hybrid of the raspberry and the blackberry which possesses its own piquant flavour quite distinct from its cultivars – tart and pungent and tangy. 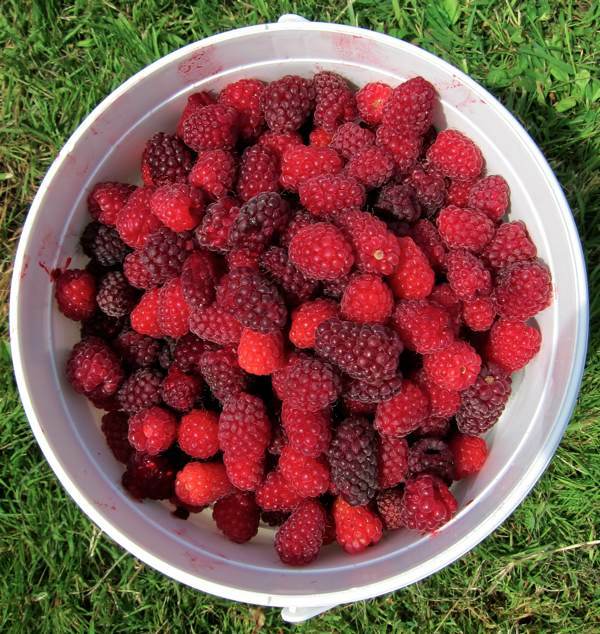 Lillie has devoted herself to earning a living by making jam in small batches from fresh fruit as it comes into season and last summer she became captivated by the irresistible notion of loganberry jam. 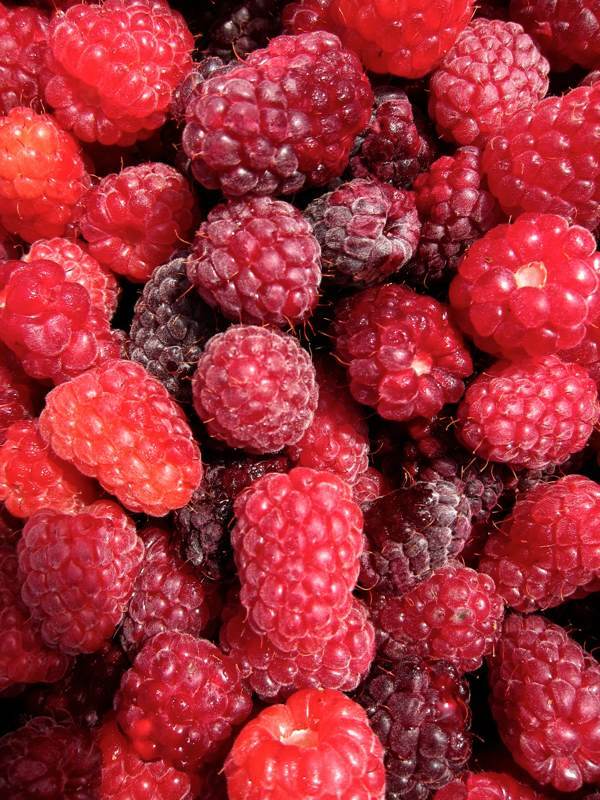 The loganberries season only lasts two weeks and, when Lillie contacted Covent Garden Market, she discovered that none were to be found. 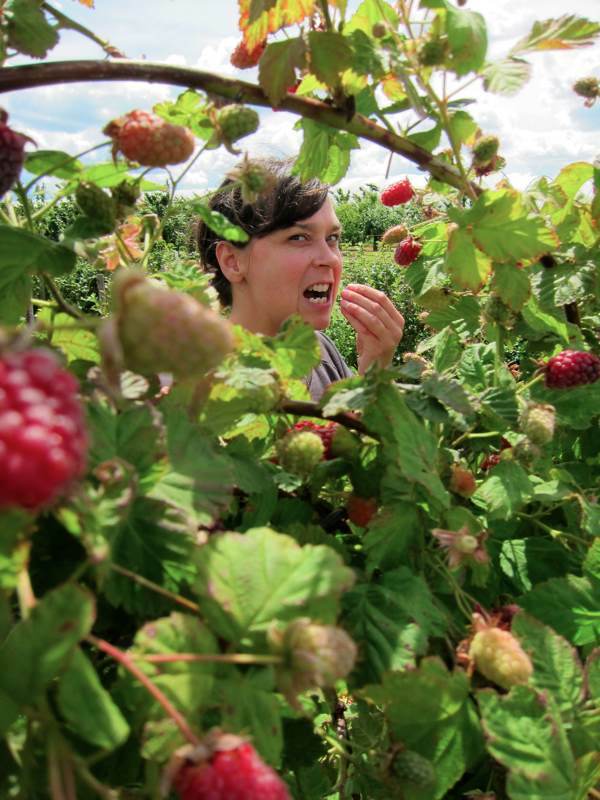 There is no demand for loganberries, she was told. 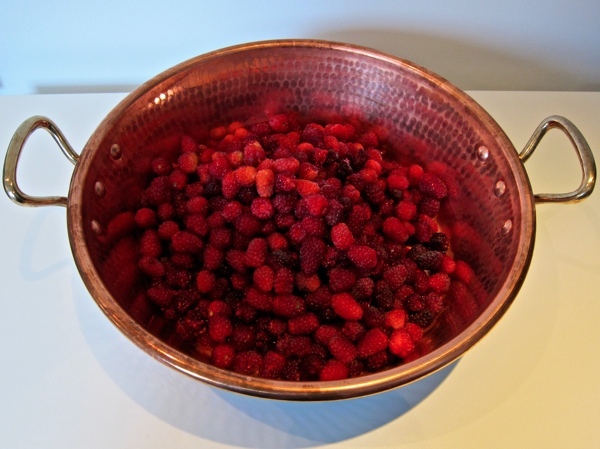 Yet the scarcity only sharpened Lillie’s resolve, recognising that if she found some, she could corner the market in loganberry jam for the whole of London. 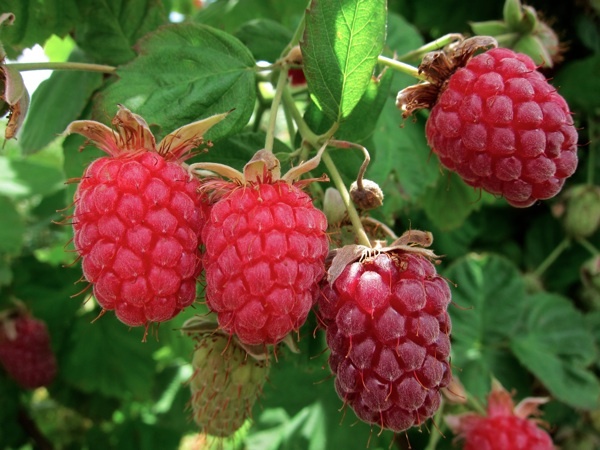 Many phone calls later, Lillie spoke with a fruit farmer in Kent who had just one line of loganberry plants, ready to pick. Having located the elusive berries, Lillie just needed some assistance with the picking, which was how I became her accomplice in the quest for this rare fruit. 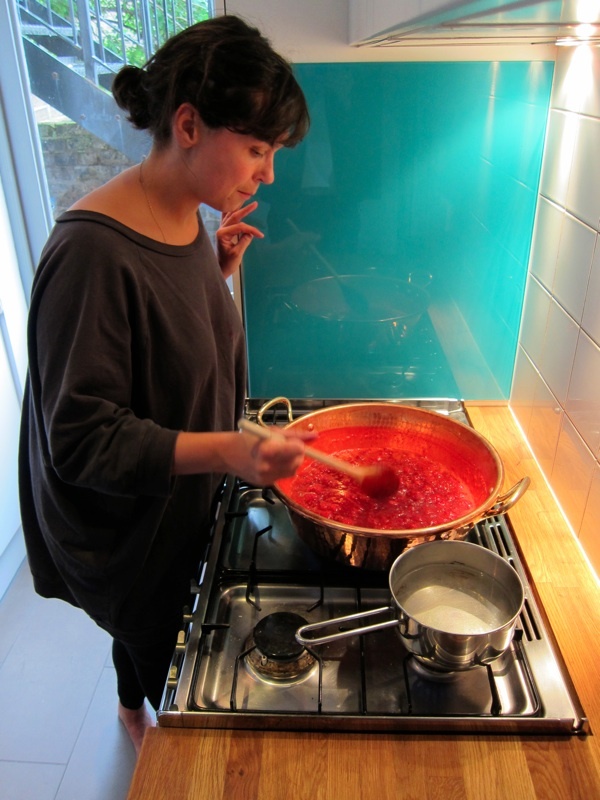 I had left Lillie completely absorbed in her task of making jam from all the loganberries we had picked. It may take her all day on Friday to complete the estimated batch of eighty jars of jam that our crop of berries should produce. You can buy your own pot of this rare preserve to enjoy for yourself, exclusively from The Artists of Spitalfields Life at Ben PentreathLtd. Lillie O’Brien sells her jam at Chatsworth Rd Market. 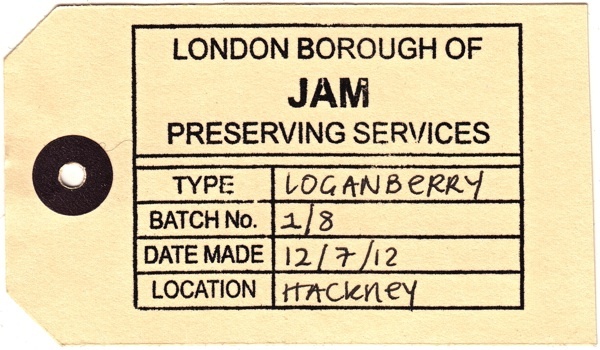 London Borough of Jam preserves are also available from A. 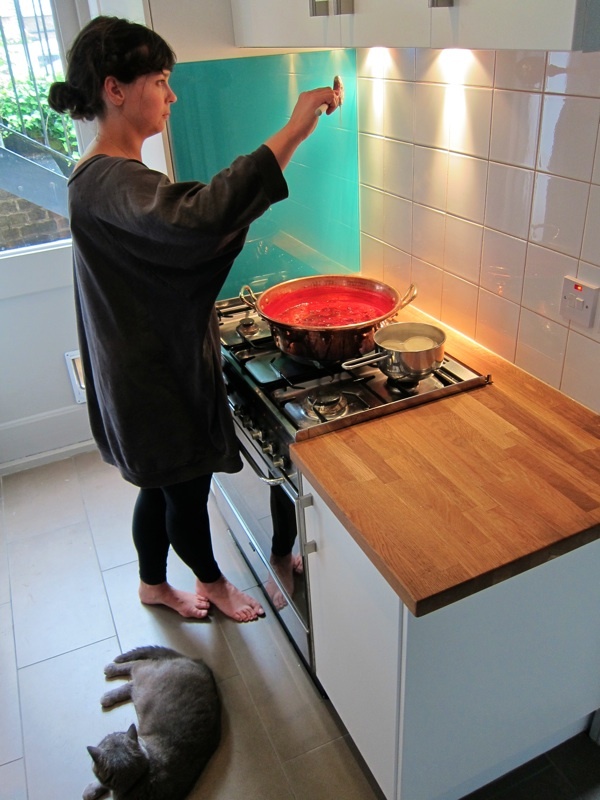 Gold in Spitalfields, Leila’s Shop in Shoreditch and the E15 Bakery in London Fields. I managed to make some Pear-&-Lime, which was delicious. 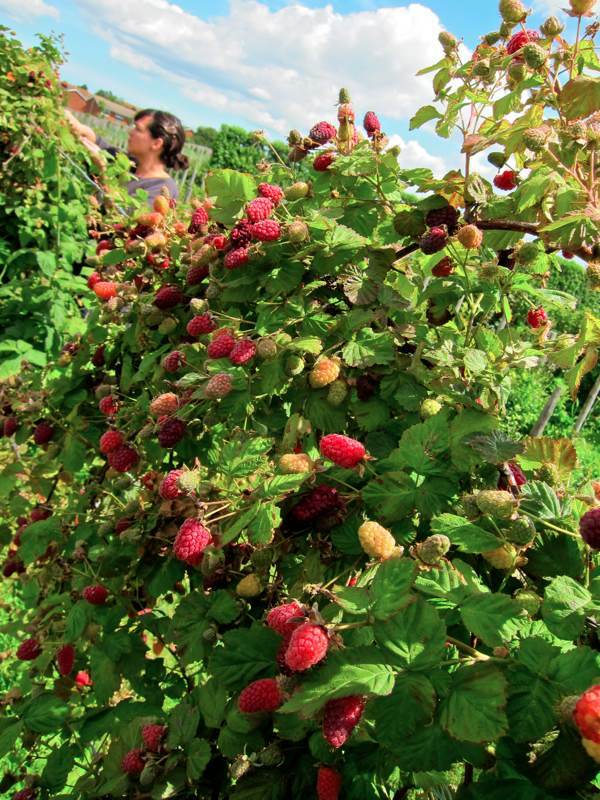 But the yellow raspberries cropped very slowly – so they got eaten, instead.